2019 Toyota Tacoma Vs Nissan Frontier – What’s the difference? 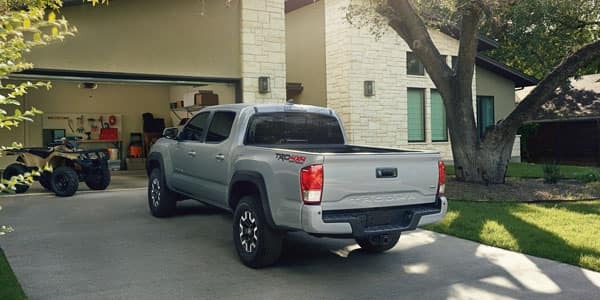 In the midsize truck segment, the 2019 Toyota Tacoma and the 2019 Nissan Frontier are the frontrunners having similar engine size, seating capacity and transmission level. Many people place them on the same level. Nonetheless, the 2019 Toyota Tacoma beats the Nissan Frontier in the field of safety. The Toyota Tacoma has an active safety tech, off-road tenacity and a bold look, which makes it the perfect secure family car for the families of Jacksonville Beach. The negative side of the Tacoma is its price, as it costs more than the 2019 Nissan Frontier, but paying a little more for safety is totally worth it, as the safety features of Toyota Tacoma are unbeatable. On the other hand, Nissan Frontier offers best value and a strong engine, it fails to provide the safety features which is a necessity for families with kids. With the Toyota Tacoma, one can pull much heavier loads than a Nissan Frontier as the Tacoma has a touch of better towing capacity. Further, the Frontier has less horsepower than the Toyota Tacoma. Indeed, both the Frontier and the Tacoma have standard safety features such as airbags, seatbelt pretensioners, height-adjustable shoulder belts, plastic fuel tanks, four-wheel antilock brakes, traction control, electronic stability systems, rearview cameras, and available rear parking sensors. But, the Toyota Tacoma beats the Nissan Frontier on safety features. 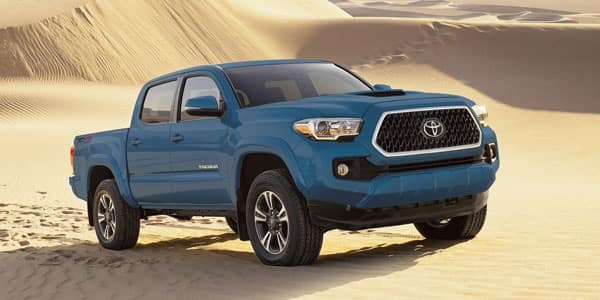 The 2019 Toyota Tacoma hands down offers the best safety features such as Trailer sway control, Crawl feature, Pre-collision system with pedestrian detection, lane departure alert, sway warning, automatic high beams, dynamic radar cruise control, road sign assist, lane tracing assist and the Toyota Safety Sense. 2019 Toyota Tacoma comes with the award-winning bundle of active safety and innovative features specially designed to protect the passenger, driver and the whole family. Both cars may seem similar as they are both very similar. However, let’s see which midsize truck comes on top. The Toyota Tacoma is a clear winner with its superior interior, integrated and equipped cabin as well as spacious leg room. It definitely offers more comfort to the driver and passenger than the Nissan Frontier. The Tacoma offers much more features, sure to put you miles ahead in terms of both comfort and convenience. The Tacoma has much more space inside the cabin, more front leg and hip room than the Frontier with comparable head and shoulder room as well, along with more rear shoulder room to keep everyone happy all ride long. 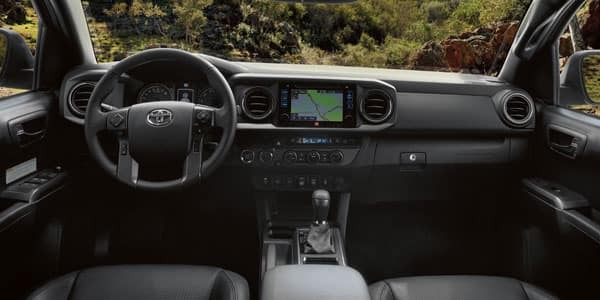 Power 2-stage locks, power front windows, a tilting and telescoping steering wheel, driver’s seat lumbar support, voice-activated audio control, speed sensitive volume, and more await you inside the Tacoma. Further, both of them come with a range of accessories such as step rails, cargo dividers, bedliners, tow hooks and tie down cleats. While, only the 2019 Toyota Tacoma comes with a deck rail, mounted camera, aluminum running boards and bed lighting kit. If you’re looking for a winning experience then the new 2019 Toyota Tacoma is your best choice and is available at the Arlington Toyota Jacksonville. Why Choose Arlington Toyota in Jacksonville Beach, FL? With our clear and honest upfront pricing, you can purchase the 2019 Toyota Tacoma with confidence knowing you’re getting the best bang for your buck every single time you buy from us. Visit us and let us show you in person how Tacoma beats out Nissan Frontier again and again, then let us help you take home your very own today.